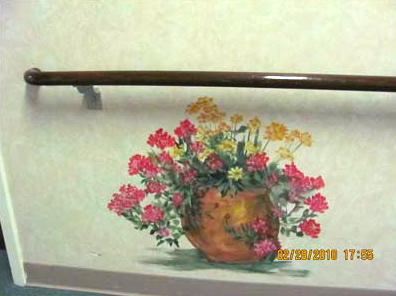 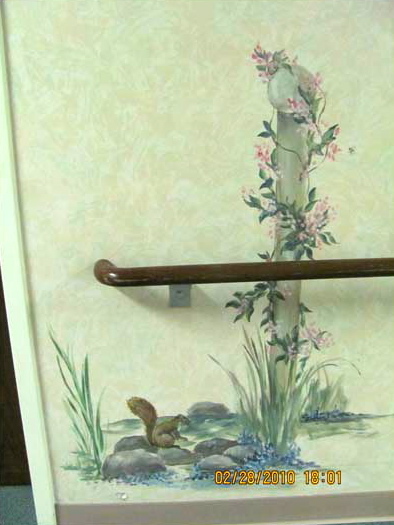 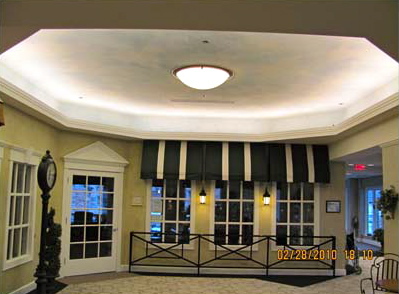 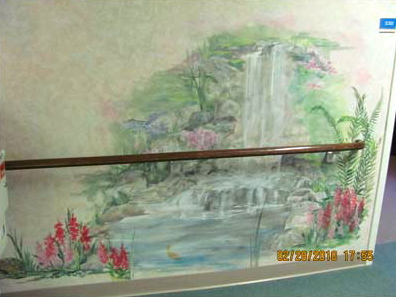 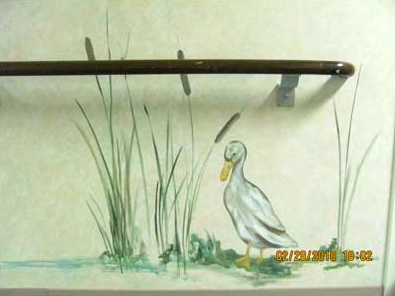 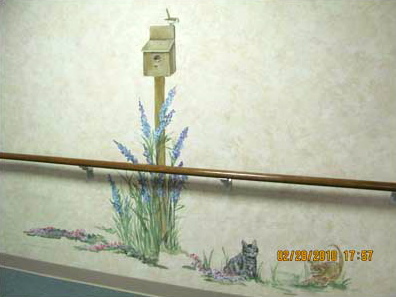 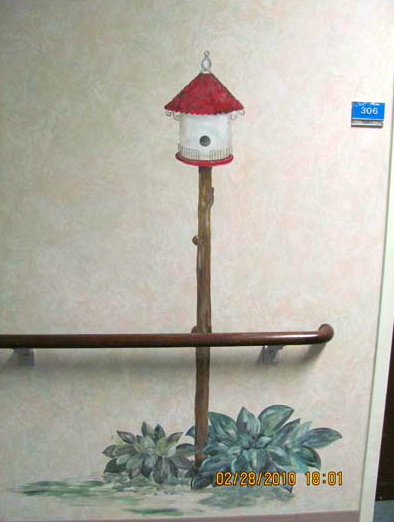 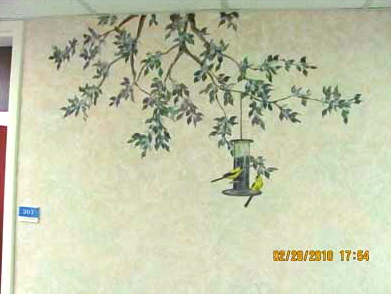 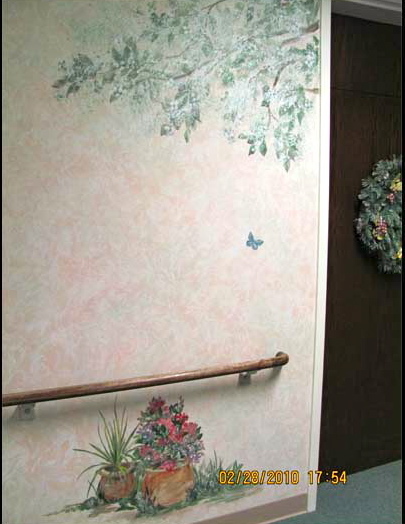 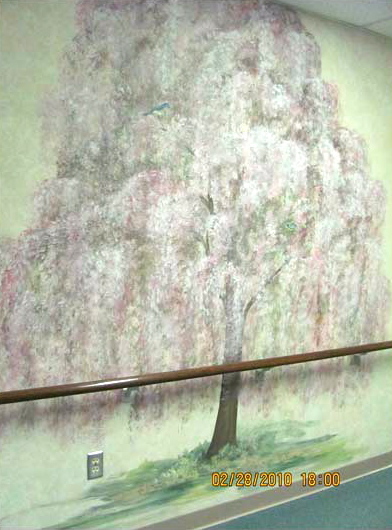 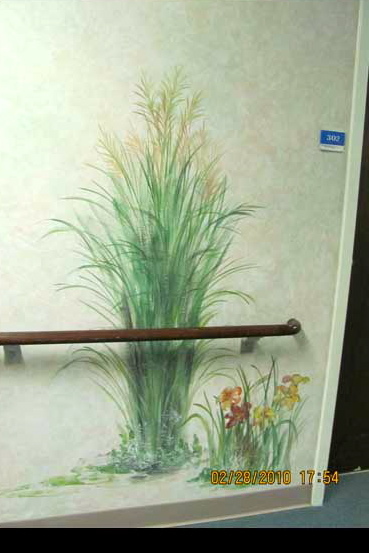 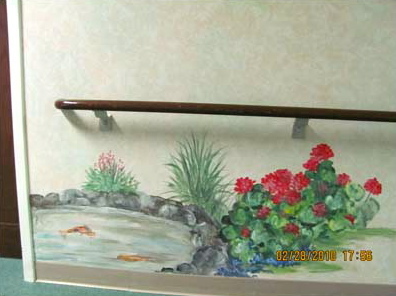 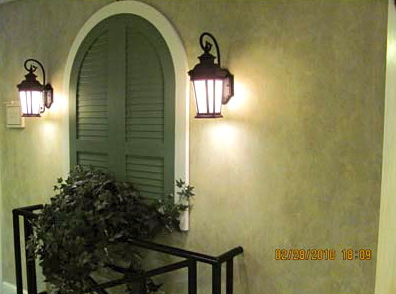 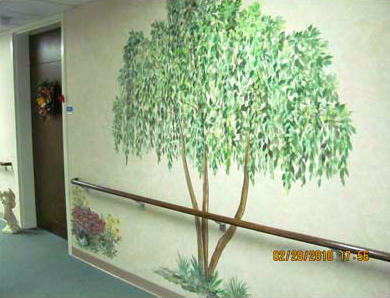 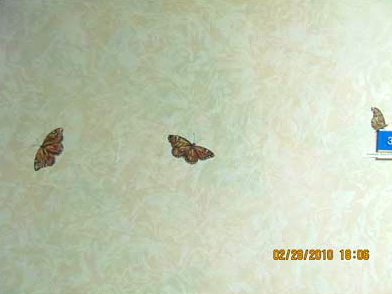 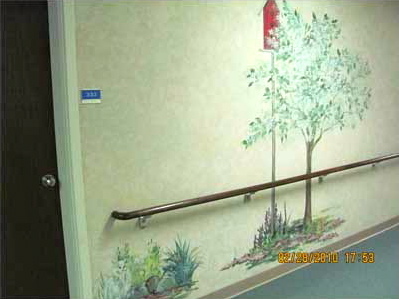 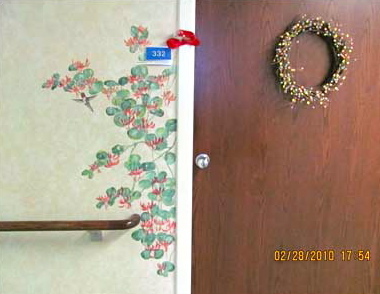 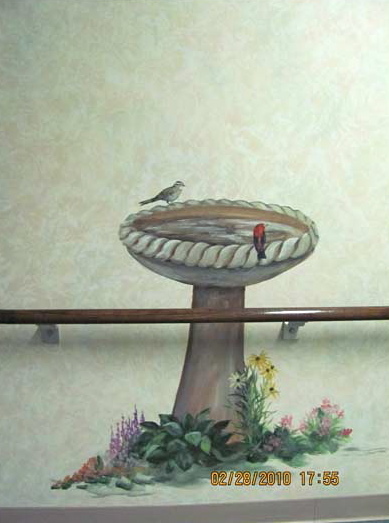 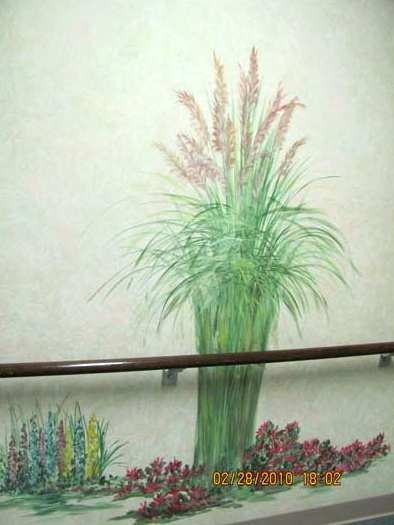 When I was asked to add special hand-painted touches to the halls of this large area in Dorothy Love Retirement Community, I thought it would be fun to have resident input. 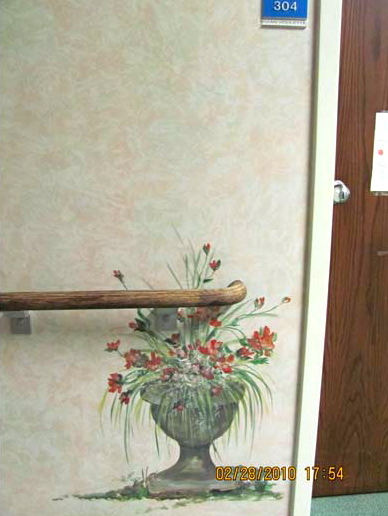 I put a signup sheet at the nurses' station where the residents could write down special requests and include their own room number. 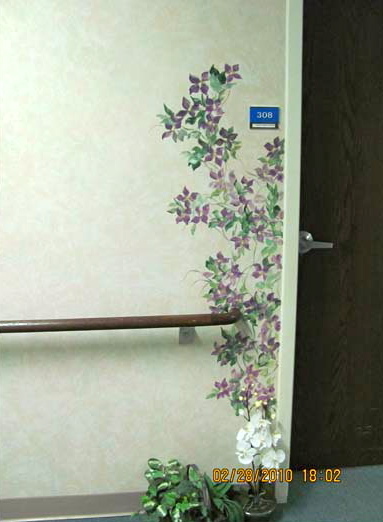 With this information I created a unique entrance to every room. 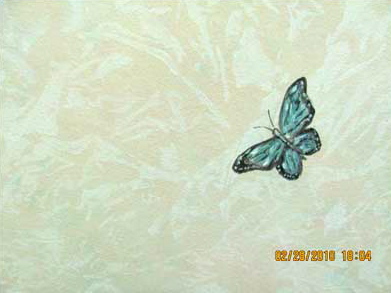 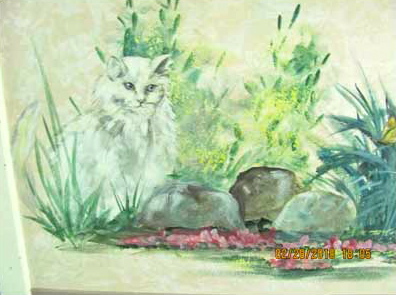 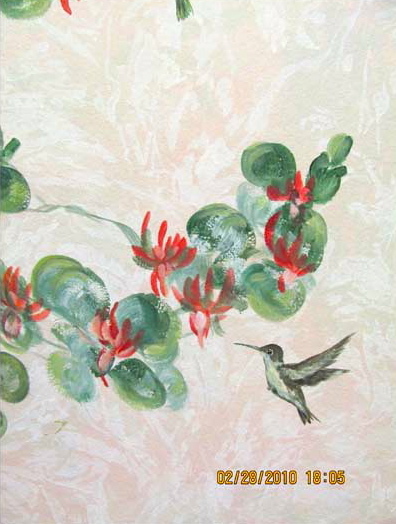 Specific flowers, birds and other critters were requested, but I was most touched by painting a resident's siamese cat outside of her door. 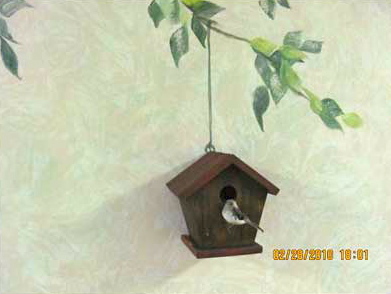 She wasn't allowed to bring it with her when she moved.